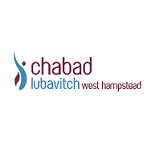 Lubavitch appropriately means the city of brotherly loveThe word “Chabad” is a Hebrew acronym for the three intellectual faculties of chochmah—wisdom,binah—comprehension andda’at—knowledge. The movement’s system of Jewish religious philosophy, the deepest dimension of G‑d’s Torah, teaches understanding and recognition of the Creator, the role and purpose of creation, and the importance and unique mission of each creature. This philosophy guides a person to refine and govern his or her every act and feeling through wisdom, comprehension and knowledge. Today 4,000 full-time emissary families direct more than 3,300 institutionsMotivated by his profound love for every Jew and spurred by his boundless optimism and self-sacrifice, the Rebbe set into motion a dazzling array of programs, services and institutions to serve every Jew.